I am pleased to say that I spent this past weekend at a workshop with Paul Selig here in Boulder. Paul is an award winning author of four channeled texts with more to come, we are told. This was the fourth time I have had the good fortune to be with him and the Guides in person. A dear friend first introduced me to his enlightening work about 10 months after Claude died. I devoured the first two books, I AM THE WORD and THE BOOK OF LOVE AND CREATION, reading them multiple times. If you could see them, you might laugh. You would find that they are filled cover to cover with underlines, highlighted passages, earmarked pages and sticky notes spilling from the outer edges. Without a doubt his work has been a transformative influence in my life and my healing process since Claude committed suicide four years ago. The teachings in Paul’s books are filled with illuminating guidance that I already had an awareness of but are written in such a way and were given to me at just the right moment in time that their impact has been pivotal. In other words, they genuinely speak to me and resonate on a deep level and have been supportive in creating a new vibrational alignment with Self. I am sharing this with you because receiving the transmissions from these books and workshops have supported me with approaching my life from the position and omnipresence of my divine self. For me, this has been one of the most essential ingredients on my grieving path. Without these reminders and elevated perspectives, I truly think I would have been lost long ago in the quagmire of despair never to see the light of day again after experiencing such devastating trauma and loss. 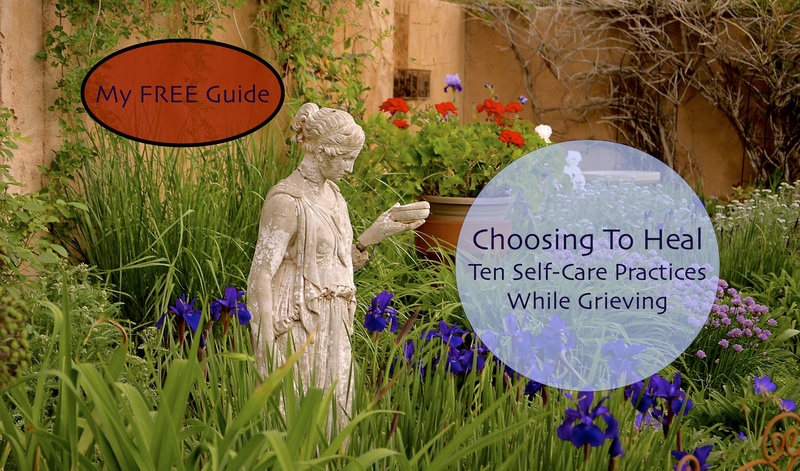 I do not presume to know what may be helpful for you while you are grieving. I fully acknowledge that there is an abundance of pathways for gaining clarity and perspective through our life’s challenges. This is merely one of my own personal methodologies for embracing and remembering who I am “in truth”, what I came here to be “in truth”, and how I came here to serve “in truth”. With practice and intention, I have been incorporating this belief that we are much more than our personality or small selves, that we are always in alignment with all that occurs in our life, even when it does not look or feel that way. We are continually being presented with opportunities for growth. Everything and everyone serves a higher purpose. We have the choice and the ability to change our perspective at any given moment. We can learn to be more conscious and acknowledge our part in the creation of the world we are inhabiting, internal and external. Our true selves or divine selves have the vantage point where all things are perfect and all things are possible. There is no fear, shame, guilt, self judgement etc. There is only love, knowing who we truly are and why we are here as radiant divine beings, living a human experience of our own design. I beautifully written and inspirational post!